Every now and then I’m asked to repair items other than furniture. Like this miniature replica of a 19th century stagecoach with 4 horses. This project included repairing the broken axles, re-attaching the wheels, and repairing a leg to one of the horses. Everything was then cleaned, touched up, waxed, and secured to the plaque. 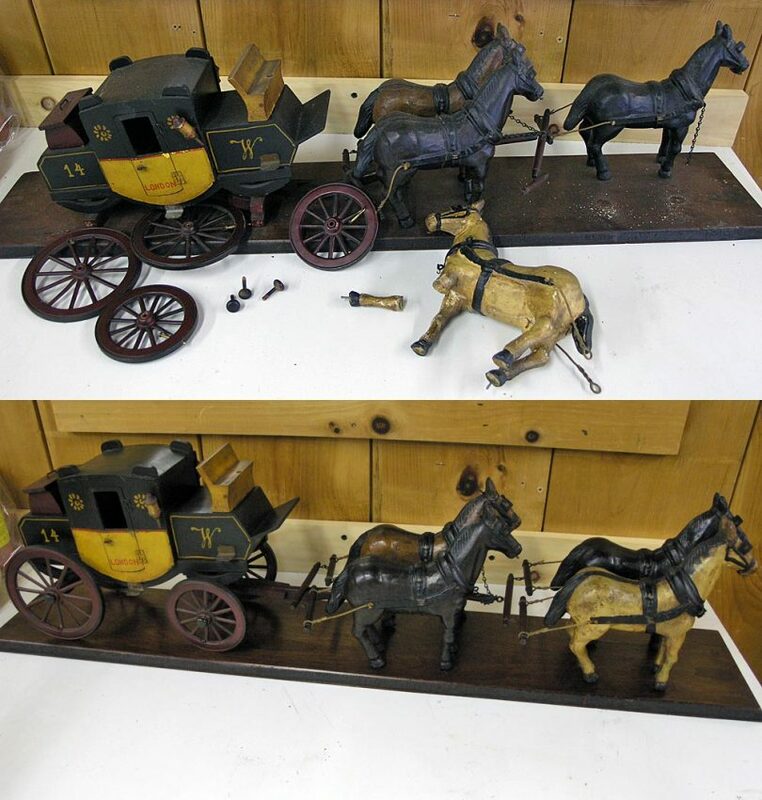 This miniature stagecoach was repaired for a Norfolk CT client.